Branding speaks volumes. Logos, websites, and business cards can have whole conversations with clients, before you even open your mouth. Good branding will make sure those unspoken first impressions convey your true story and service and draw potential clients into a response. That’s the beauty of branding – to reveal to customers and clients that what they see through your colors, fonts, graphics and layouts is what they get through your business. Lexi Jones’ sought website and logo services from If You Brand It for this very reason, that clients would see her branding, understand her vision, and partner with her services. She desired branding to take the guesswork away from her potential clients. So we created a logo and website that spoke her vision and style. Lexi’s Hatch247 is an innovative business incubator and consulting service for modern single moms. It’s clean layout and colors give voice to the professional and straightforward approach of her business. Lexi shares that branding has helped with her business credibility and awareness. She loves how it enhances her core message and magnifies what makes her different. When visitors stop by her site, her branding communicates she means business, she is trustworthy, she is established, and her work is quality. When clients trust your branding, they are open to your business. Growing a healthy, credible business has opened doors for Lexi to speak in Ghana, Africa and celebrate one of her clients becoming a best selling author. Are you ready to show your clients what you have to offer? Schedule a branding consultation today or check out our many services here. When Warren and Amira Woodruff decided to take a leap of faith into a new business venture, they were in search of a logo that would tell their story and help their dream take flight. This husband and wife team, both dentists, had years of experience running a successful dental practice. In stepping out to create a new business, they partnered with If You Brand It to create a new logo. As business owners, they already knew something important about branding: it makes your business recognizable online and in your community. After a consultation call with Keenya, the Woodruff’s had a design plan in motion for their logo for their new business, What Are You More Than. They were looking for a clean, professional logo that used a fitting color scheme. Their desire was for a logo that could be integrated into their website, social media pages, and products they sell. And this is exactly what we provided. Their dream was to build a business that helps anyone who has passions outside of his or her nine-to-five and is tired of feeling one-dimensional. What Are You More Than helps others who have dreams and passions to be able to pursue them. Their blue and white logo uses clear, bold text. The question mark is merged with an arrow to call their customers into a journey of asking questions and pursing answers – just as they desire to help others pursue their dreams. This was a logo designed with a dream in mind. Through the Woodruff’s partnership with If You Brand It, the process not only created a logo they love, but it helped them develop the vision for their business moving forward. They love how the logo helps make their business look more professional and the confidence it has given them to share their business and story with others. Is branding and design worth your time? The Woodruffs affirm, “If you want to take your business to the next level, make sure to determine your business vision first. Then create your brand and design behind your vision. 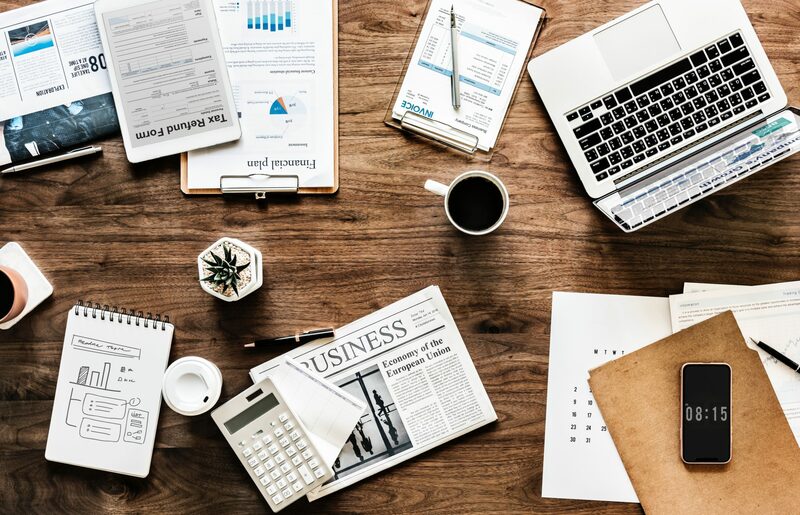 It is very important that customers understand who you are and what services or products you can provide for them.” Are you dreaming of a new business venture? Our consultation services and our branding and design will help your dream take shape. How can we help you set your dream in motion? Schedule a branding consultation today or check out our many services here. One of the benefits of brand and design is capturing your vision and business personality in a visually engaging way for your customers and clients. Logos, colors, layouts, and graphics can all tell your story. If You Brand It loves partnering with clients to show their true colors to the world. ­When Courtney Burnett connected with us, she realized she was trying to do everything by herself and her website and brand did not look or feel the way she wanted them to. She desired professional help to have a brand that she would love and feel proud to show off to the world. As a Speech-Language Pathology Assistant (SLPA) and IEP Advocate, Courtney provides services and support to parents of special needs children through her website courtneyburnett.com. Having a crisp logo and an online hub that communicates clearly what she is about, what she offers, and appeals to her audience is key. Courtney knew she wanted to improve connections with her customers and that first impressions are priceless. 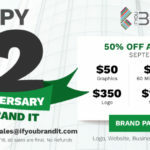 She partnered with If You Brand It to update her logo, samscart offerings, business cards, stationery, social media marketing and her website. Her confidence grew in sharing her product knowing the branding was “on point”. After implementing her new brand, her customers doubled. “My clients can see and feel who I am as a brand,” Courtney explains. Her user-friendly site creates trust and credibility with visitors. “The connection with branding ‘me’ and my services,” Courtney shares, has been amazing.” Not only has she connected with more clients, but even her logo has started conversations that allow her to share about her services with potential clients. She shares, “When I help a family better understand their child's education and help them get the special needs services they have been fighting for feels amazing. My goal through my business is to help families turn their struggles into triumphs.” At If You Brand It, we value relationship with our customers, listening to their dreams and their vision for their business. Then we use our tools, like color choices, logo creations, web design and interface to reveal this vision to potential customers or clients. Is branding worth your investment? Courtney says, “it was 100% the best decision I have made in my business to date. The If You Brand It team has been amazing, helping guide me with patience and amazing customer service. I was new to the process and the team helped me every step of the way!” Are you ready to show your true colors to the world? We are ready to make you shine. Schedule a branding consultation today or check out our many services here. Investing in quality branding and design may not seem like the most obvious choice to saving money when you are starting a business. Trying to do it all on your own may seem like the most economical option to cut those start-up costs. 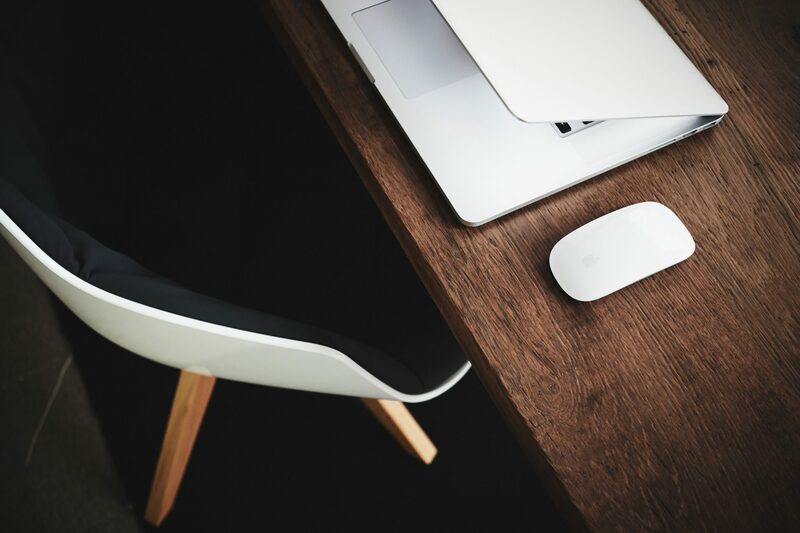 But if branding and design are not your specialty, you may end up like many of our clients spending countless hours and funds creating websites, logos, and other content with little return. 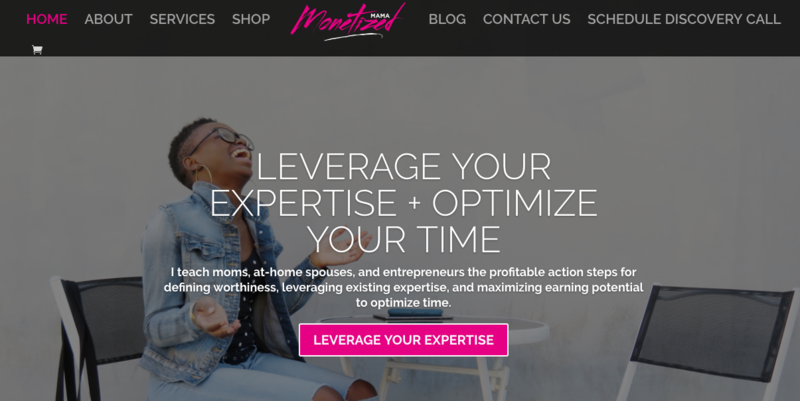 This is exactly why Kristin Arilus partnered with If You Brand It, “I spent a lot of time and money trying to do it for myself and realized that my website was not attracting my desired audience.” A business strategist for entrepreneurs, Kristin desired a beautiful, easy-to-navigate site for her consulting business, Monetized Mama. Our 90-day or less website design and deployment was the perfect fit for Kristin’s business needs. We delivered a distinct logo and a beautiful, user-friendly site, full of Kristin’s quality resources that launched her business to a whole new level. Her investment in us, allowed us to create a platform for her to maximize her business growth – a partnership in which she is still reaping the benefits. “I am attracting better quality clients and my business is taken more seriously. I have more clients convert quickly and am being referred to others more often.” But it doesn’t stop there. Kristin’s business has continued to take off. “I have become an ambassador with the Boss Mom brand, have been asked to do podcast interviews, and have done Facebook live interviews with various communities.” Her site is opening doors she didn’t know were there. If you are re-launching or starting a business, save yourself time and money. Invest in your branding. Watch your investment multiply – in clients, customers, and business opportunities. We’re ready to see you soar – are you? Schedule a branding consultation today or check out our many services here. When internationally acclaimed artist, Sandro Pelicié Pérez approached us for branding services, he needed help creating a platform that expressed his artwork and services and appealed to his niche market. When we develop brands and digital spaces with our clients we are looking for curb appeal – an overall presentation that causes both casual and interested customers or clients to stop, to listen, and to lean in. As a sculptor and decorative concrete specialist, Sandro’s talent and services were unquestionable. When Sandro connected with us, he only had a business card developed and he realized that, though his card had one focus, there was potential, because of his training, to expand his business into various areas. As Sandro met with us for branding consultation, we were able to bring his vision into focus – a single branding identity for all the business entities he had in his hand: One that would tell the story of his business accurately, and effectively capture the attention of a wider audience. Using Sandro’s logo and sculptures as inspiration, If You Brand It developed a sharp, bold, and striking website. Sandro desired the site to be easy to navigate, noting that some of those in his niche market were not as technically savy. He wanted visitors to easily learn more, buy artwork, or inquire about commissions without aimlessly wondering around a website. We listened and built a user-friendly site that captured the strong artistic feel of Sandro’s artwork. And the results were immediate. Traffic to Sandro’s instagram account sky-rocked as customers had a place to go to learn more about his creations and make purchases. “These days,” Sandro explains, “everything hinges on having a website, no matter what the product is.” Developing a brand and building a website resulted in greater visibility for his business and more pointed and appropriate targeting of those he is equipped to serve. He shares that often he is called to fix problems that are left after faulty workmanship and to provide finishes and sculptures that are done with high regard for the money customers pay him. In the same way, If You Brand It also partners with clients, taking their current branding and updating it or recreating it with excellence. With Sandro’s Project as with so many others, If You Brand It provided a remodel – a brand new look for a fresh start to a new phase of a business or dream. Why invest in branding consultation and web design? Take it from Sandro, “Branding and design helps you find your niche market, it is the call to the market to gain the attention of the audience that is yours – it focuses and defines who you are and what you bring to the world.” Are you ready to freshen up your branding and add some curb appeal to your business? We’re ready to help. Schedule a branding consultation today or check out our many services here. Every business owner knows the power of leveraging collaboration. Finding others to partner with who can multiply your efforts is an incredible asset these days. But did you know there is a silent partner available to all business owners that is often overlooked? When Tanieka Randal of Tee’s Hair Secret came to If You Brand It she discovered this valuable truth: Branding is the business partner you may have never known you needed. Tanieka already had a list of inspiring accomplishments as an entrepreneur, bestselling author, International Inspirational Speaker, Oncology RN and cancer survivor. But her website and branding did not reflect the high quality of her business and attributes. Put simply. Her old branding didn’t tell her TRUE story. And that’s where If You Brand It stepped into her story, listened, and designed. We partnered with Tanieka to reveal the NEW and the TRUE story through a new logo, web graphics, and website. “Everything looks professional, beautiful, and fits my brand story,” Taneika shares. She loves the consistency of the sleek gold and vibrant purple colors that bring cohesion throughout her graphics and website. Tee’s Hair Secret logo is distinct and classy, with a whimsical touch of curls spiraling off the text. The logo effortlessly communicates through its design what her business is about, and is easily remembered and recognizable to those who see it – an incredible business asset. 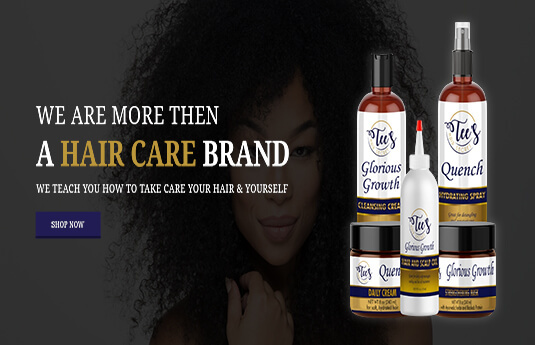 Branding with IYBI has created an increase in visibility and web visits for Taneika’s natural hair care business, while also opening up more partnerships and business opportunities. Her desire to inspire, motivate, and help others happens seamlessly through her branding, as visitors come to her site, follow her on social media, and reach out to her personally. The designs created through IYBI reflect who Taneika truly is and what her business truly stands for. Branding takes the guesswork out of forging connections with customers and business partners. And the best part about branding? Taneika shares, “It speaks for your business when you are unable to.” We are honored to partner with Taneika and her dream of helping millions of women discover their potential and confidently walk out their purpose by creating branding and design that is working on her behalf round the clock – a truly perfect business partner. How can we help you discover the power of branding for your life and business goals? Schedule a branding consultation today or check out our many services here.